Logan and Jake Paul got arrested in Italy last year after they flew a drone over the Colosseum and it accidentally landed in a military base. And now, fans want them to be taken into custody again after they noticed something else illegal that the boys did during their trip to the country of pasta and pizza. In a post that started on 4chan and ended up on Reddit, a fan pointed out that the boys jumped into a canal in Italy for one of their videos, and that it’s totally illegal. In the YouTube video, Logan, 23, bet Jake $5,000 that he wouldn’t jump in the water, because they believed there were feces in it. But as fans know, the boys can never turn down a challenge, so Jake agreed to do it. After he jumped in, he told Logan that if he did it too, he’d give him the money back that he just won in the bet. This led to Logan joining him in the water. During the video, a random bypasser warned the boys that the police were on their way, but Logan didn’t seem to care, ignoring him and jumping into the canal anyway. “You cannot do that,” the man told the YouTuber. “Yo, if you call the police, ask them if they can join the Logang,” Logan replied to the man, clearly not taking it seriously. “It’s illegal!” Someone off camera proceeded to yell to the boys. “We should probably leave, we should probably get out of here,” Jake, 21, responded as they dried off. “Push yourself to do things that no one else is doing and great things will happen,” Logan told the camera, as they left the scene before police arrived. 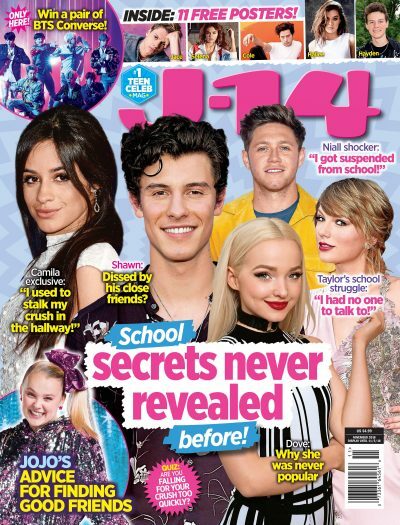 As J-14 readers know, the boys have become pretty known for doing crazy things to get views and this isn’t the first controversy around their YouTube videos. Logan was under a lot of scrutiny last year, after he uploaded a video which had a dead body in it. The boys also got in trouble with the law once before, after flying a drone over a monument — and video taped the whole arrest without the police’s knowledge. SMH, will these boys ever learn?